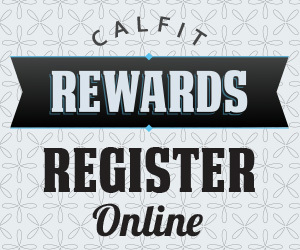 Introducing.... Cal Fit Rewards! Earn points by checking into the club, referring friends who join, completing personal training sessions, and more! Plus, you automatically receive 10 points just for registering. What can you get with your hard earned points? Here are some examples: free membership time, personal training, Cal Fit Gear, tanning sessions and supplement discounts!